Little Tracks | Just Shooting Memories! As most young boy’s, I was fascinated by trains when I was little. I still am to a small degree. Add lots of bright lights, reflections, a fast moving scale train and I am in heaven. 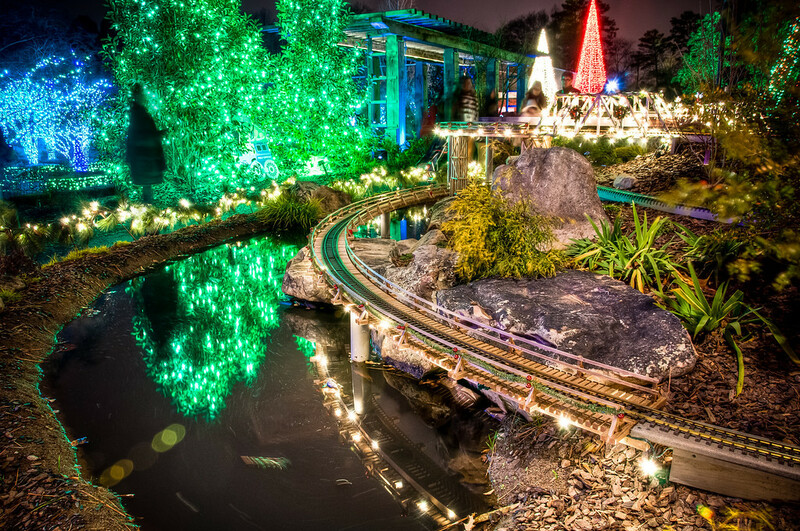 This shot was taken at the Atlanta Botanical Gardens Garden Lights exhibit. It was probably one of the most difficult to take. There were so many people working their way around the scene that I had to dodge the pedestrians to get a few shots. Well worth the fight though.